After the retail success of Selena Quintanilla Perez's special edition MAC Cosmetics make-up line it looks like fans will have a new project to look forward to. Emmy award-winning journalist Maria Celeste Arraras spent many years after the death of Selena doing research & conducting interviews with people who were close to the singer & later published the book El Secreto de Selena. Now years later she is in the process of putting together a television series that will tell the untold story of the Tejano singer. Last week on January 16th Latin America, BTF Media, & Moconoco y Latin WE announced that they will be producing a TV series that is based on the best selling book by Maria Celeste Arraras. 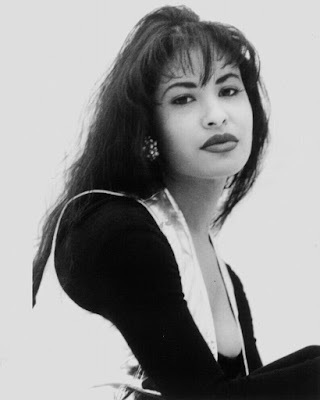 "El Secreto de Selena is the revealing story behind her tragic death. It is a story very different from the official version that was told immediately after his murder. It turns out that in the months before her death, Selena was not as happy as many thought. She was living through a tumultuous moment in her life; she was surrounded by people that loved her but also wanted to manipulate her. She felt that she was being pulled in different directions and she was torn. Selena was about to take various decisions in her life that were going to change her personal and professional life forever," Arrarás said.